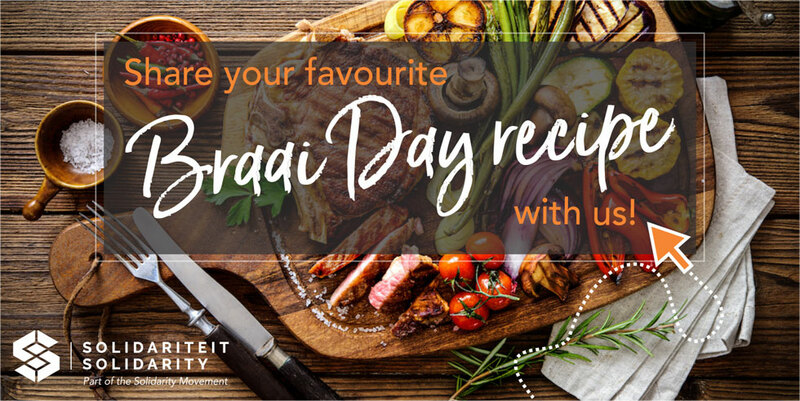 A braai is part of South Africans’ DNA – we love to braai! And on this year’s Heritage Day the coals will be set alight again! Solidarity would love to be part of the party alongside the braai! WIN meat to the value of R1 000 sponsored by Theron’s Meat Products in Pretoria. The winner will be announced early on Saturday morning (23 September) and must collect the prizes before 13:00 from Theron’s Meat Factory Shop at: 185 Charlotte Maxeke Street (previously Mitchell Street), Pretoria West. And share your unique marinade recipe in the text. The three most unique recipes will appear on the Solidarity Facebook page and thereafter the public will vote for the winner. Share with us your recipe or have a look here at the recipes already sent.